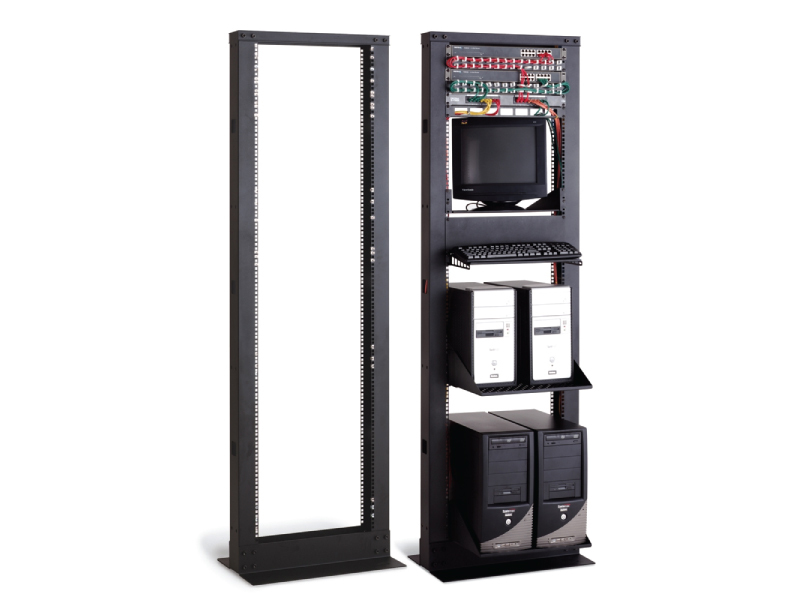 The Kendall Howard 2-Post Cable Cove Rack is the perfect relay rack for high density network and telecom installations! The 1,200 lb. 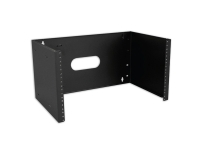 weight capacity and 4" vertical cable channels can handle just about any network large or small. So load it up with servers, UPS's, rack shelves, patch panels, switches, and more. The Kendall Howard Cable Cove Rack is ready for the challenge! The two 4" cable management channels make routing cables vertically a snap! 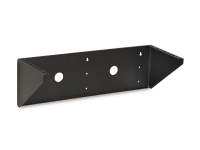 The unique design eliminates the need for exterior vertical cable managers. 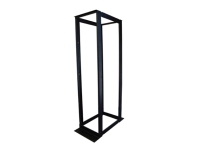 The heavy duty steel construction provides the highest quality two-post rack solution on the market. The knocked down frame is quick and easy to assemble. 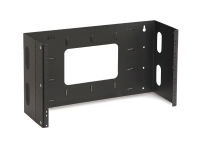 The self-squaring frame only requires a wrench and approximately 15 minutes of assembly time before your rack is ready to be populated. The dual sided universal cage nut style mounting rails allow you to use the rack screws and cage nuts that you prefer.